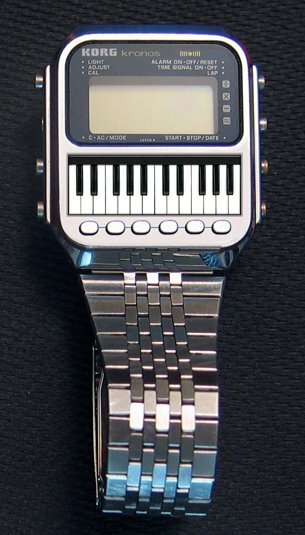 but before you see the Korg-one . Bevor du die Korg Watch siehst, eine SynthUhr, die zumindest bei Kickstarter läuft. Exklusiv ist es ja auf jeden Fall. Kickstarter für 550€ – which is .. hmm – get the app for a little more money – who still want’s an iPhone, yet? 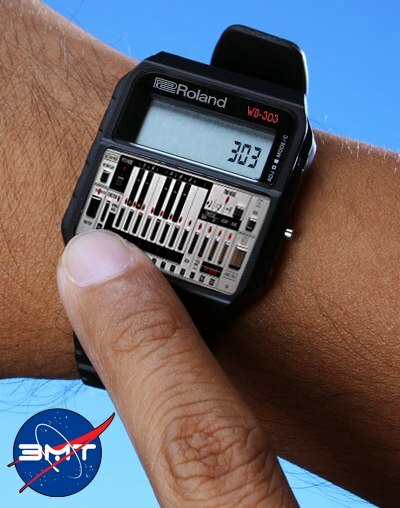 and yes – it has a synth inside, not just via the app (they say). 200 sounds. so the iPhone thing is more like an editor. 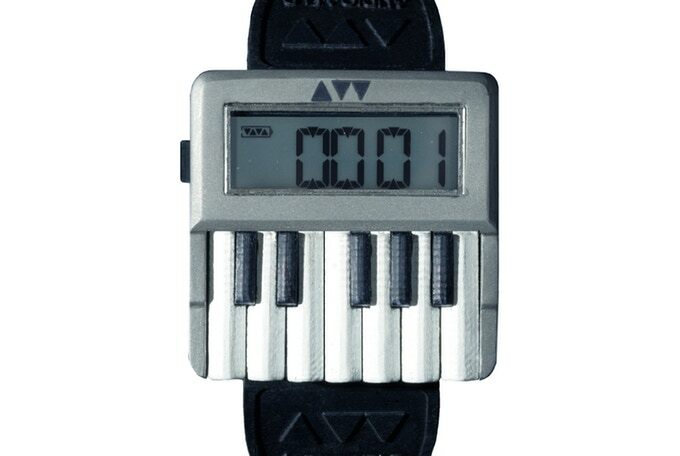 hard to play the ribbon on the monotron / monotribes isn’t really new, but they have been cool before as well: Korg Watch – well, if this one is real. Kronos is a synth, so this is most likely a nice self made gfx thing, doesn’t look like it has the interface to really work. Maybe just because kronos sounds like Chrono -> clock. added.. via comment!! ;) thx! 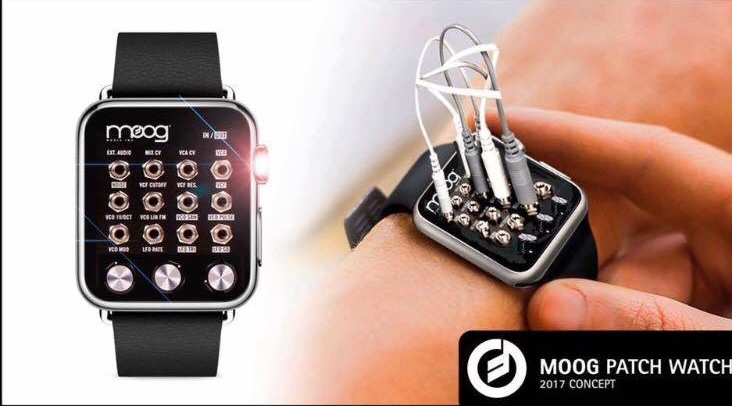 this one is pretty „bad“, but you see the fun..
where i can buy taht watch? nowhere – this is long ago and may not be produced by Korg themselves? it was given to some VIPs as a gift afaik. so – don’t expect them to be easy to find.